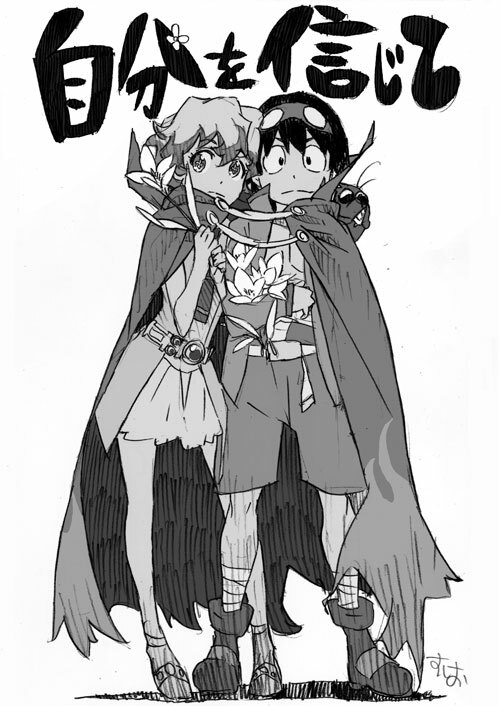 Amazon has released the kindle edition of â€˜Believe in Yourselfâ€™, an artbook featuring characters from popular anime series â€˜Gurren Lagannâ€™. The book, consisting of â€˜original illustrations from nearly 40 Japanese and American artistsâ€™ has been made available to the English speaking community on amazon.com and costs $9.99, with all proceeds being donated to the Japanese Red Cross in relief efforts after the Great Eastern Japan Earthquake disaster. Physical copies have been made available at Japanese events, but for fans living abroad, this is a good way to obtain a copy, as well as support a noble cause. Notable contributors to the book include Assistant Director Masahiko Otsuka, Animator Sushio, Director Hiroyuki Imaishi and J-pop artist Shoko Nakagawa.